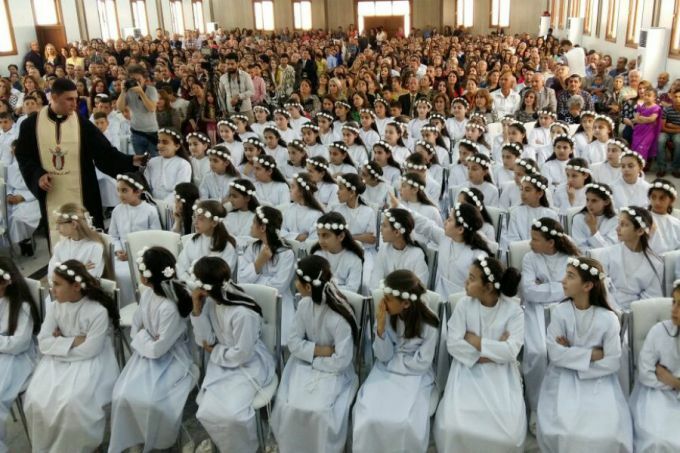 Iraqi refugee children make First Communion in Erbil camp. Photo by Deacon Roni Momica, from the article. This entry was posted in Feasts and tagged Corpus Christi, Erbil, Feasts on May 29, 2016 by frjfkauffmann. This is late notice, but the Chaldean Archbishop of Erbil, His Excellency Bashar Matti Warda, is in the United States and was to have been interviewed today. The interview should air on EWTN (check your cable listings for the channel) at 8 p.m. Eastern. This entry was posted in Christianity and tagged Erbil, Warda on August 20, 2015 by frjfkauffmann.